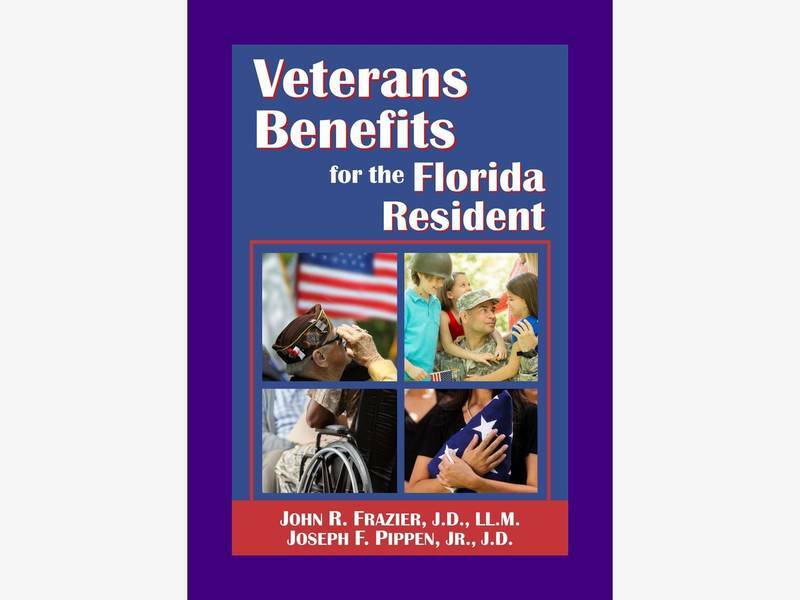 LARGO, FL — The Independent Book Publishers Association has announced that the book, “Veterans Benefits for the Florida Resident,” by Largo attorney and veterans advocate John R. Frazier, is a Silver Award winner in the Professional & Technical category of the 2017 IBPA Benjamin Franklin Awards. The distinguished indie book award program recognizes excellence in books published during 2017. “Veterans Benefits for the Florida Resident” is a self-help resource for veterans and their families. More than 1.6 million U.S. veterans of all ages live in Florida, which is the third largest population of veterans in the U.S. Many of these veterans, their surviving spouses or dependents may be eligible for disability compensation, pension and other more obscure or “hidden” benefits and services provided by the U.S. Department of Veterans Affairs (the VA) and the State of Florida. “Most veterans are aware of the basic health care, housing, and education benefits the VA offers,” said Frazier. “Still, countless veterans and their families do not know about some lesser-known yet extremely important programs. Many financial benefits are also available that can better the lives of disabled or elderly veterans and their loved ones while reducing otherwise crippling costs. One example is the Aid and Attendance benefit, where hardly any people know they’re entitled to it. John Frazier is a first rate Veterans Advocate who works directly with veterans and their families for benefits education and assistance, estate planning etc. His website is EstateLegalPlanning.com.